The Jeep Renegade blasts back for 2016 showcased by the addition of a premium Beats audio system, convenient rain sensing wipers and new exterior colors to select from. 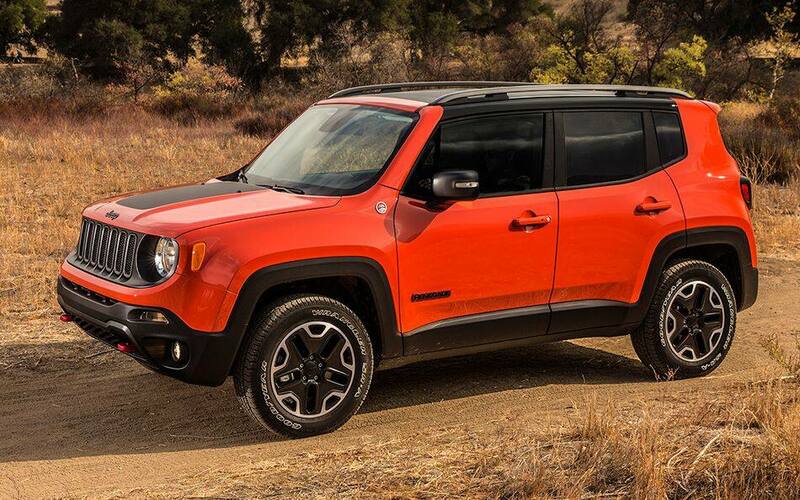 The Renegade boasts more than 30 miles per gallon and 70 available security and safety features. 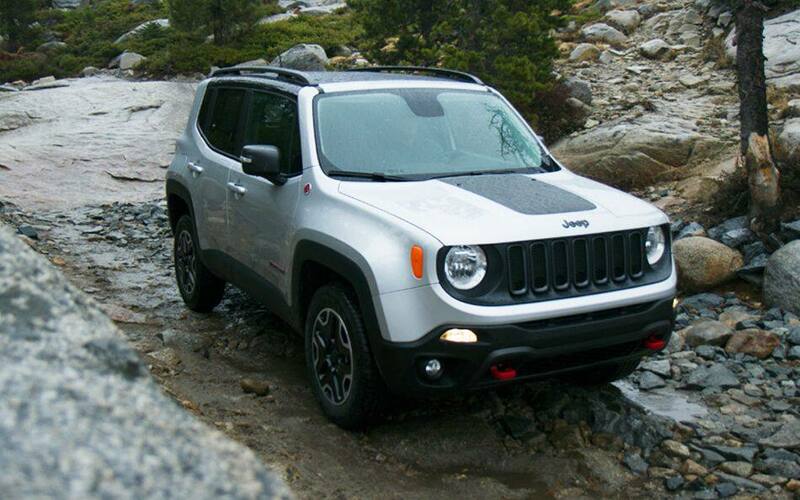 The 2016 Renegade off-road capability is rated best in class, and the open air open road experience is second to none. Jeep is dedicated to meeting customer's needs globally and this offering certainly highlights this commitment. The Jeep Renegade is a vehicle that possesses a bold take on style and form. The Renegade is designed with adventurous body forms and sharp proportions that help bring together the best off road capability in its class. To highlight the trip, the Jeep Renegade provides two available, easy off "My Sky" panel roof systems to enhance your open air experience. The Jeep Renegade comes with 2 options for engines including the 2.4-liter Tigershark utilizing MultiAir2 technology or the 1.4 MultiAir Turbo engine. Both of these motors boast fuel efficiencies above 30 miles per gallon. The 2.4-liter Tigershark embraces refinement and efficiency with 180 horsepower and 175 lb.-ft. torque. This model is proudly featured on all nine-speed automatic transmissions on all 4x2 and 4x4 models. The 1.4-liter MultiAir Turbo is a four-cylinder engine allowing for an efficient driving experience that provides 160 horsepower and 184 lb. -ft. of torque. This motor is featured with all six-speed manual transmissions. MultiAir valve technology reduces emissions and boosts fuel efficiency upwards of 7.5 percent more than traditional valve systems. The 2016 Renegade features the Jeep Active Drive system including the Jeep Selec-Terrain system. This allows for up to five modes of driving including (Auto, Mud, Sand, Snow and Rock modes which is only featured on the Trailhawk model) This technology creates the best driving experience on or off road and in any weather conditions. Jeep has entered into the small SUV market with a design that is both stylish and reliable while still holding true to the brand. Jeep is known for American design and freedom and this SUV builds off of this rich history. The 2016 Jeep Renegade SUV crossover is offered in 4 trim levels. The Sport offers standard equipment including 16-inch steel wheels, automatic headlights, dual sunroofs, keyless entry, split folding rear seats adjustable driver seat, tilt and telescoping steering wheel and four speaker sound system including USB and audio inputs. The Latitude model adds on foglamps, automatic headlights, cruise control, leather steering wheel, alloy wheels, roof rails, heated exterior mirrors and LED lighting. Additions to the electronics include a rearview camera, a 5-inch touchscreen, satellite radio, Bluetooth including voice commands, six speaker audio system with an additional USB port. The Limited adds 18-inch alloy wheels, upgraded driver information display, auto dimming rear view mirror, a 115-volt power outlet and dual zone auto climate control. Leather upholstery is also added with heated front seats and steering wheel. The 2016 Renegade also offers a Trailhawk model for the off road oriented customer allowing for more features to be used including hill descent control, raised suspension, tow hooks and skid plates to protect the underbody. The Trailhawk separates itself from the Latitude model offering 17-inch allow wheels, all-terrain tires, full size spare tire, premium cloth upholstery, cargo floor panel and a rechargeable flashlight. Many of the Limited model's features can be had on the Trailhawk and Latitude by ordering special packages. Where is Len Stoler Dodge Chrysler Jeep Located? How do I make an appointment to get my oil changed? 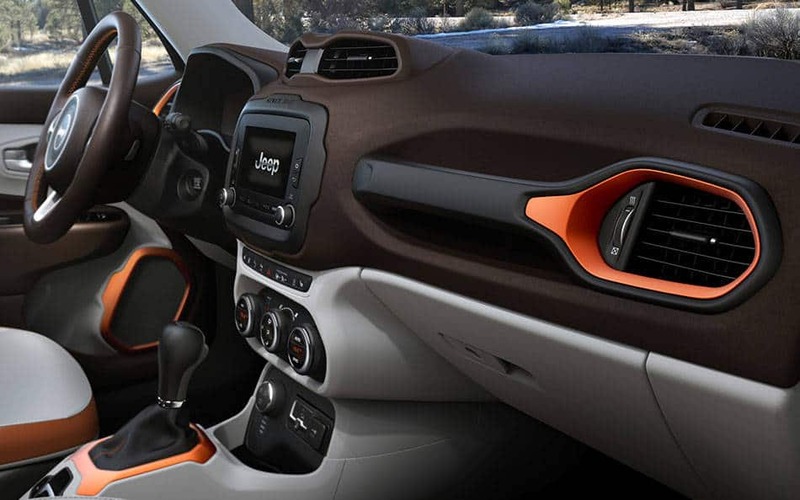 Included on the 2016 Jeep Renegade are over 70 features to help keep you and yours safe and secure. Features highlighted include the first availability within this segment Forward Collision Warning-Plus technology as well as LaneSense Departure Warning-Plus. Also included are many features including Rear Cross Path detection; ParkView rear backup camera with dynamic grid lines; electronic stability control (ESC) with electronic roll mitigation and seven standard air bags. The Jeep Renegade is back for its second year and remains the most capable off road performing vehicle in its class.